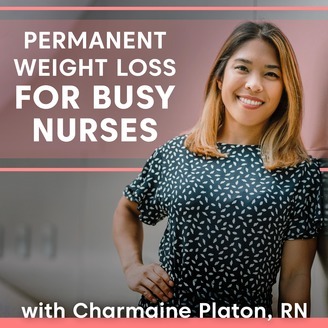 Permanent Weight Loss for Busy Nurses is the only podcast that teaches nurses working the frontlines of patient care concrete, practical, and evidence-based tools for dealing with stress, anxiety, and the pressures of a fast-paced career. 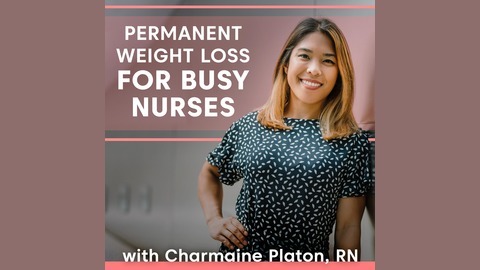 Registered Nurse and Certified Life and Weight-Loss Coach Charmaine Platon combines her personal experience and coaching wisdom to help other bedside nurses deal with stress eating and the tendency many in the caring professions have to put themselves last. Discover how much more you can enjoy your work without mental fog and fatigue! Download the Busy Nurse's 10-Step Guide to Permanent Weight Loss to help you kick-start this process and feel better today at TheNurseWeightLossCoach.com! The biggest barrier to weight loss is the thoughts in our head. That’s why figuring out exactly what those thoughts are saying is so important to losing weight permanently. I’ll also talk about brain SOS signals and how to deal with them, and a powerful exercise I do with clients to move their thoughts out of the way.